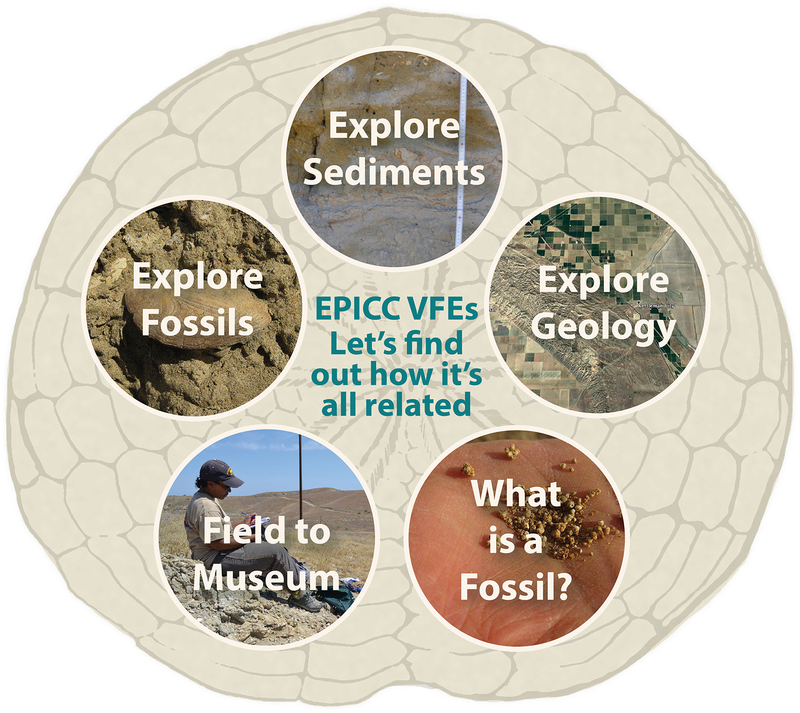 Virtual fieldwork experiences (VFEs) allow you to explore a field site as a scientist, using photographs, maps, and other visualizations and data to figure out how a place came to be the way it is today. This website contains links to explore classic fossil-rich sites in an area of Central California known as Kettleman Hills. Teachers can find an introduction to VFEs at the “For Educators” link. MS- ESS2-2: Construct an explanation based on evidence for how geoscience processes have changed Earth’s surface at varying time and spatial scales. ESS2-2. Analyze geoscience data to make the claim that one change to Earth’s surface can create feedbacks that cause changes to other Earth systems. HS-LS4-5: Evaluate the evidence supporting claims that changes in environmental conditions may result in (1) increases in the number of individuals of some species, (2) the emergence of new species over time, and (3) the extinction of other species. To cover all the modules of the VFE will take one to two weeks of 45-minute classes.